A Lifestyle of Peace: Philosophy, Jesus Christ & Apologetics: "Christian Brothers"
These are lyrics from an Elliott Smith song called "Christian Brothers." Elliott Smith has been one of my favorite musicians for years and years. I've been listening to this song over and over, just trying to understand it. Elliott Smith was a troubled soul who struggled constantly with depression and drug addiction. He died at the age of 24 from two stab wounds to the chest, it was uncertain whether they were self inflicted or not. I've always wondered if Elliott Smith is waiting in the next life. Listening to this song I had hope that he might have been, however, Christian Brothers is a brand of liquor. All the late years of his life Elliott Smith was plagued by constant alcoholism, depression, and drug addiction. He was also incredibly talented, writing lyrics like this song describing his struggle. I can relate, because during my struggles with addictions I often wrote lyrics, poems, and prose on the daily struggles. These lyrics really ring true to me, recalling that time in my life. To me it really shows the struggle that was going on in his mind. This "boss" he talks about seems to be describing that insatiable desire to use and drink, despite knowing it's not the right thing to do. I recall the constant battles in my head as I tried to stay sober. It was so exhausting, because I didn't have any help. It was just me verse the addiction. I knew deep within that this addiction would kill me. I knew I wanted to be a good person, yet there was this strong desire that I couldn't explain. This "boss" that was always fighting me, the bad side of me if you will, demanding that I go get some drink, or drug. The drink or drug would quiet the boss, the accuser. However, this cycle only fed the boss. It was an endless cycle. It was so hard. I struggled against it always, yet it would always grab me by the neck and drag me back in. For weeks it would take over, and that good voice would be locked away. It could cry and shout, but it wouldn't matter, the boss had me. Occasionally that voice of righteousness would make a struggling return to the forefront of my mind, and again it was on: the battle between the good I wanted to do, and the bad I wanted to do. That dark voice of insanity has been locked away now, in the back of my mind, by the grace of the Father. The Father was my friend then, but I wasn't doing any the foot work he required of me for his victory in my mind. Now that I do that foot work, which is attending support groups, church, bible studies, and just getting into his word... that dark monster has been locked up tight and I cannot even hear the boss's voice anymore. The boss has been defeated by Christ. However, I know if I ever fell away from my recovery that I work everyday, that voice would return. The same is true in our spiritual journeys. The more we dig ourselves into the entrenchment of God's love and his body, the more we become righteous beings. Is the struggle against sin so different from the struggle with addiction? 21So I find this law at work: When I want to do good, evil is right there with me. 22For in my inner being I delight in God’s law; 23but I see another law at work in the members of my body, waging war against the law of my mind and making me a prisoner of the law of sin at work within my members. 24What a wretched man I am! Who will rescue me from this body of death? 25Thanks be to God—through Jesus Christ our Lord! Amazingly, during my time enslaved to addiction the answer was right there in front of me: Christianity. A deep connection to my creator and my savior. 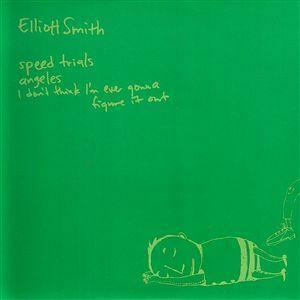 As I mull over this Elliott Smith song, I imagine him struggling with that voice of depression and addiction demanding of him to do evil, as the bottle of Christian Brothers sat in front of him. And there on the label, looking back at him was the answer to end his struggle: Brotherhood and love in Christ. The last line "Nightmares become me" is really what its like. It's groping in the dark and having no answer. But there is an answer. It's life through Christ and actively working that life. God rest you Elliott, and thank you for the lyrics that helped me understand my struggle. Praise God for his endless grace!